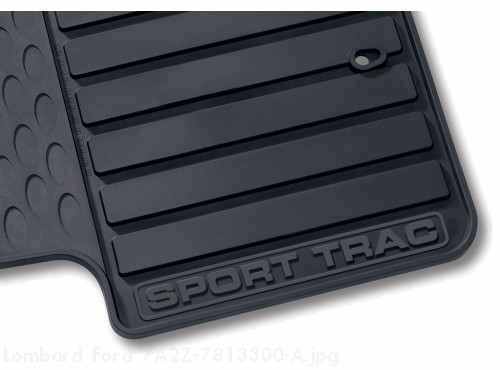 Floor Mats - All-Weather Thermo-plastic Rubber, Black * The grooves and ridges in these heavy-duty mats catch and hold snow, slush and mud, while protecting your vehicle carpeting. * Driver-side and passenger-side mats have positive retention to help keep mats in place. * Front mats have Sport Trac logo. * Available in black, in 4-pce kits.